After your customers make their reservations, they have two options how to fill up a waiver. Pre-sign a form in advance online by clicking to the URL link received with an automatic booking confirmation email or via link on your website. Or to sign in person at a facility before the activity. The presentation side is identical for web and kiosk versions. 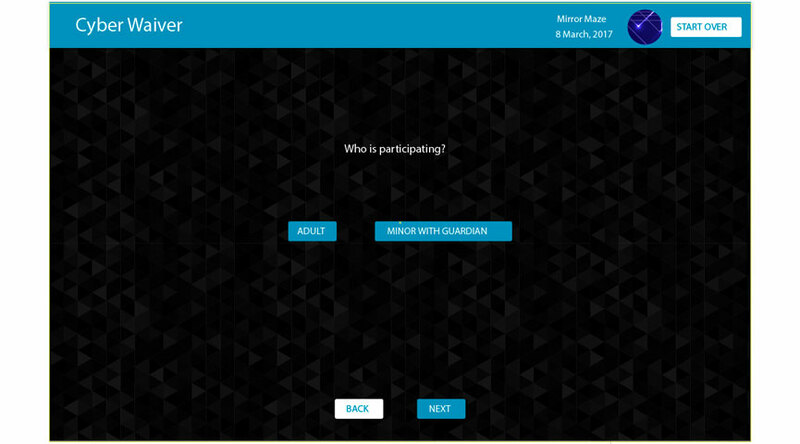 The standard form consist of a front page where customer choose the activity. Register one participant or multiple in case there are parents or legal guardians who sign for minors (age under 18). and sign the form. 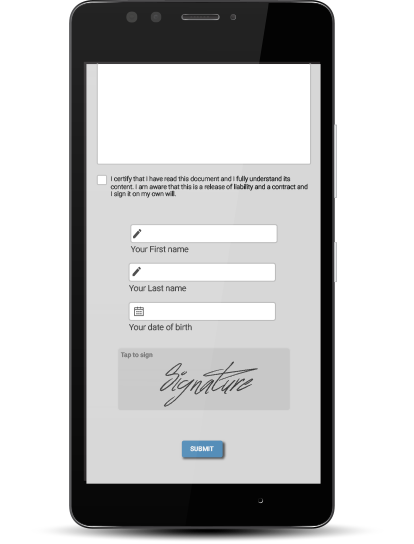 Along with a signature there could be fields for a player’s Name, email, date, and etc. You can have two forms of managing. 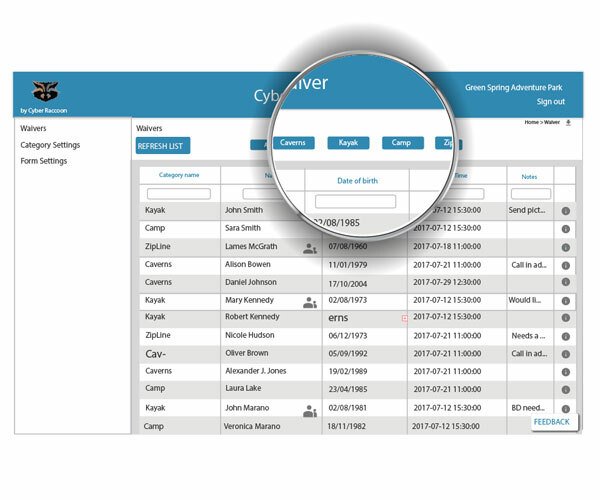 Online: Employee acess data through browser by logging to Account. 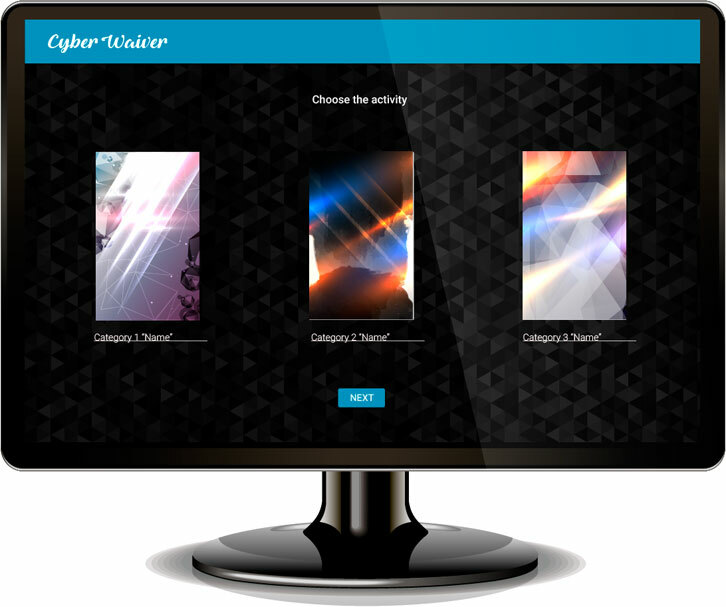 Through Application: Install an App for a quick and convenient access. 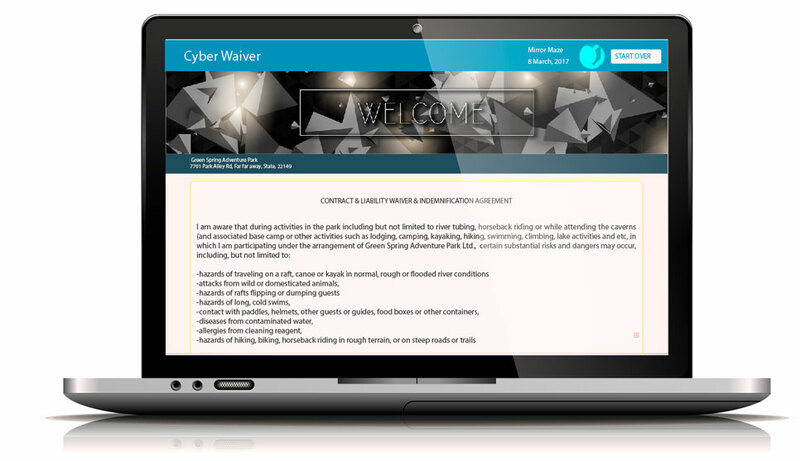 Install Cyber Waiver Application to your Mobile devices. 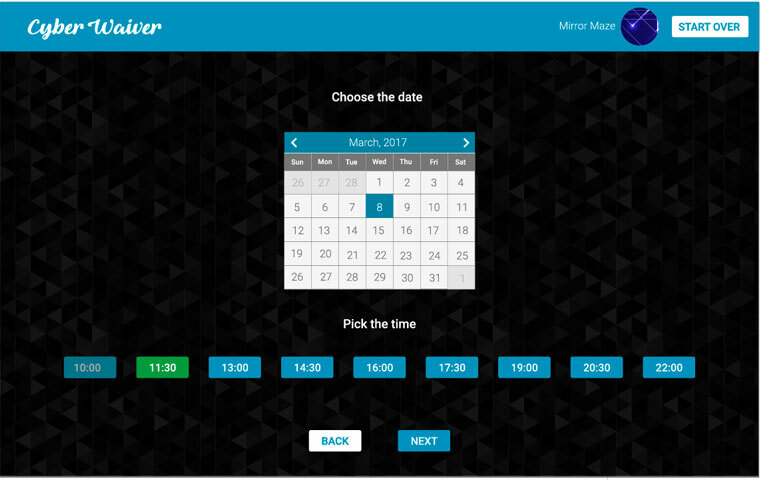 If customer performs the procedure in a facility, the staff have an access to real-time live tracking from their computer or a mobile device. The information is available instantly with no time delay. If customer signed the form online in advance, the staff can review a presorted information that is only relevant for each particular Category and reservation time session. No need to go through a severe search of record massive lists trying to reveal each person by name. 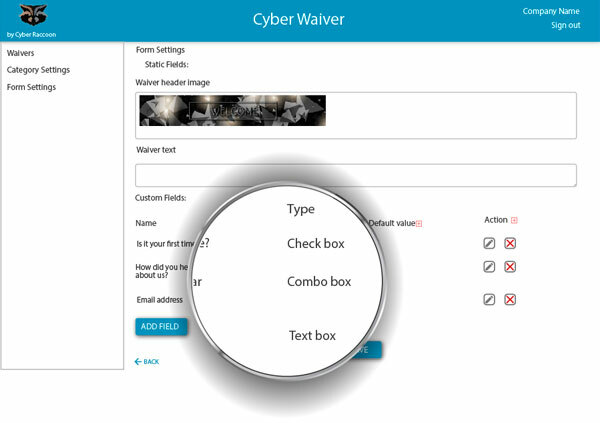 Unlike other services, our digital waiver system is customizable to your particular business. It will contain information upon which the system complies and sorts the data, which simplifies the searching process. You can easily review the information from your admin page to make sure everybody signed up. The admin interface contains multiple quick filters that allows you to review relevant presorted information. 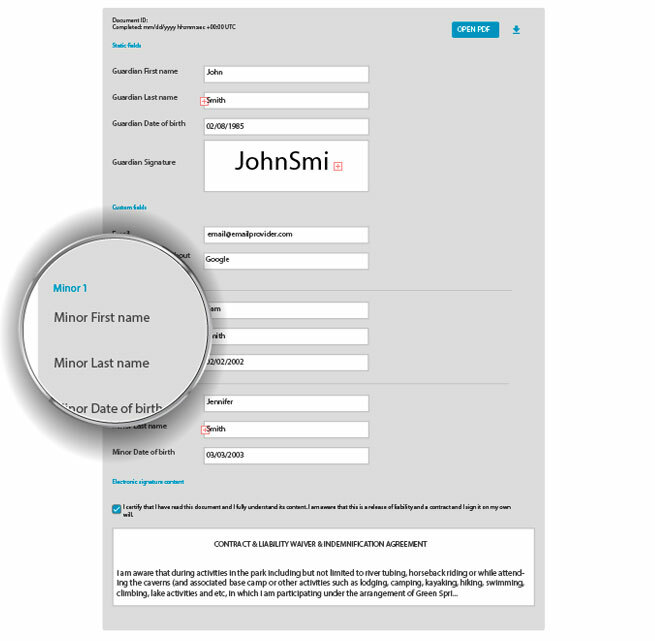 Create your custom fields in a form or give it a custom look with your Company recognizable branding design. Review, manage, email and download the forms. Ability to export Data in CSV format to your email marketing service. Any Android-based devices starting from 4.1 generation. Apple Application is due for release in September, 2017. Meanwhile, can be used via browser. Unbiased honest reviews of Cyber Waiver users, companies just like yours. I just made the switch from a different provider to Cyber Waiver. You guys rock: your product is awesome! Saved a tree for free =)) You are No:1 for sure!